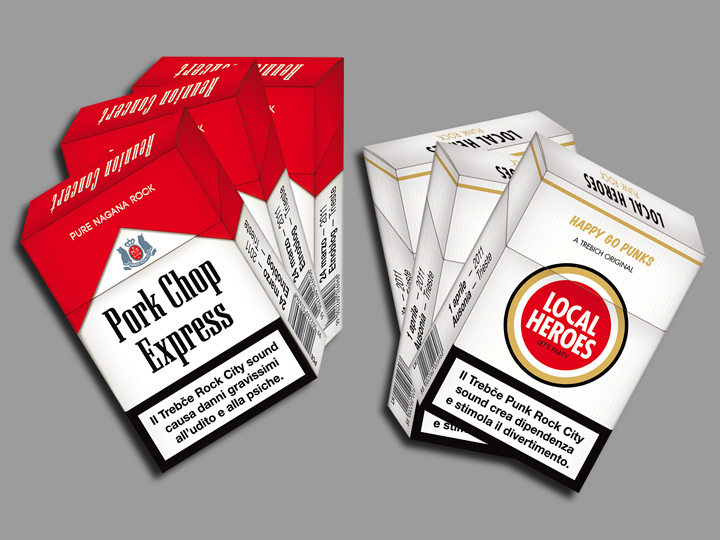 74 x 105 mm double side 4/4 offset printed die-cut flyers on 300 gsm cardboard. 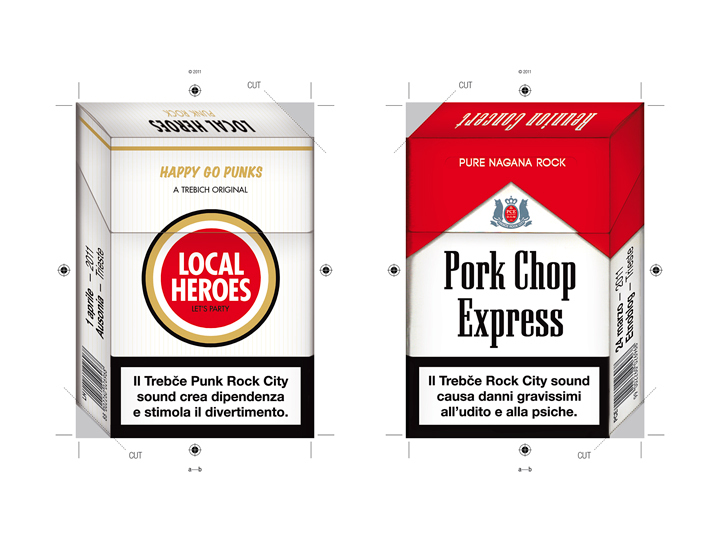 The design reproduces the shape and the size of two famous brand packets of sigarettes, clearly recognizable by fonts in use and colors. 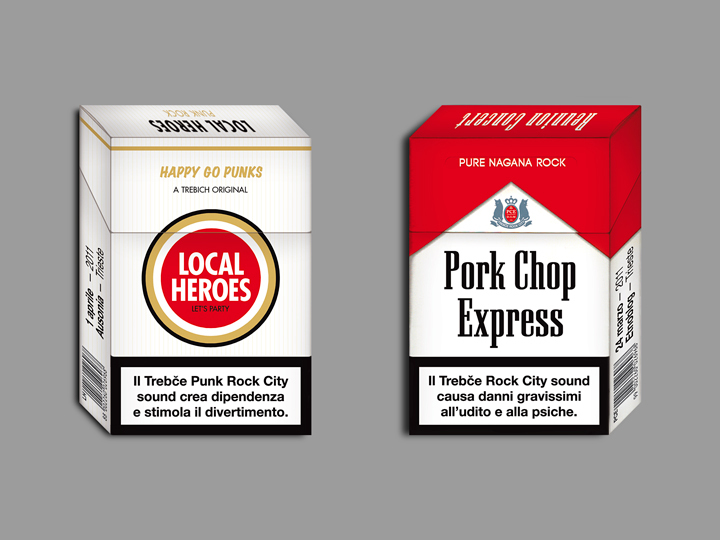 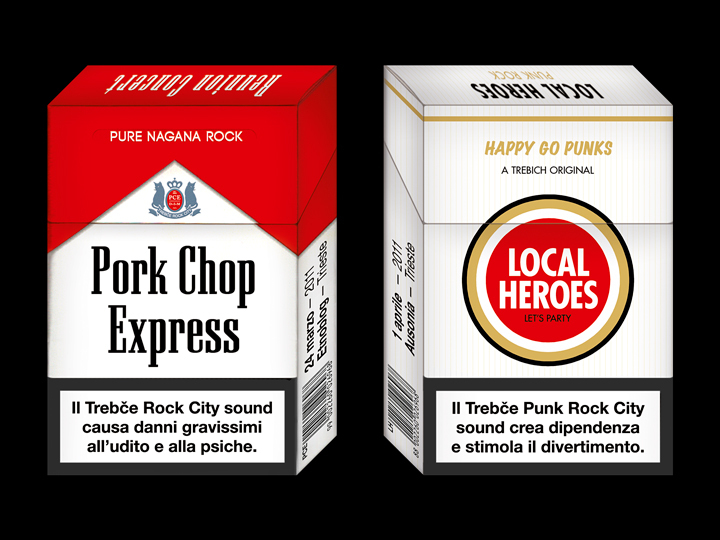 With these I tried to make a kind of guerilla promotion for two different concerts by bands Pork Chop Express (adrenalinic rock blues) and Local Heroes (dirty punk rock). 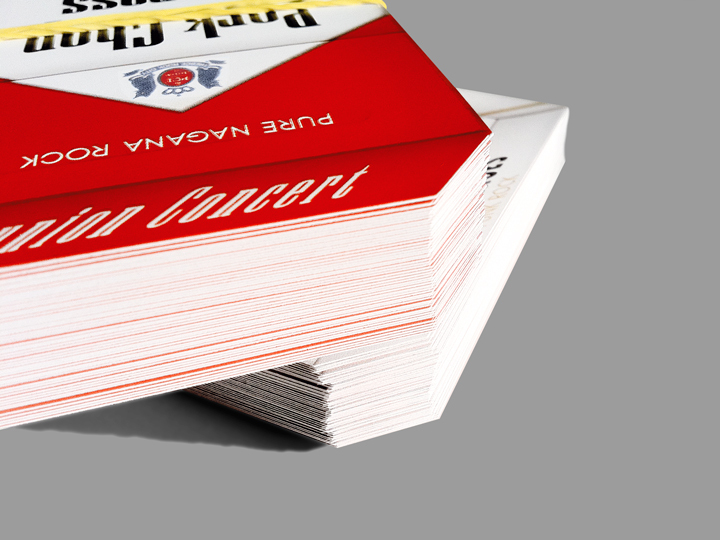 The focus was clear: catching these packet-looking-like flyers all around the city made more visibility to these two alternative concerts and aroused curiosity.